London Olympic team pursuit silver medalist Rohan Dennis may remember little of his Hour Record attempt if successful in Grenchen next month. There are presumably all sorts of chaotic thoughts that can go through the mind lap on lap as the body starts to yield and hopes of setting a new benchmark in the en-vogue discipline vary. Dennis, however, has revealed the opposite is more likely to be the case if he is within reach of meeting, if not surpassing, the 52.5km mark his BMC team has set. “I don’t remember a whole lot of the best time-trials and pursuits I’ve ever done. I just switch the brain off,” the 24-year-old told Cycling Weekly. “You could probably say I’m borderline vegetable, just my body is still going. Dennis has had a busy start to the year preparing for his Record attempt and competing at the Australian national championships earlier this month. He will start the Tour Down Under tomorrow racing for BMC team-mate Cadel Evans in what is a swan song for the decorated veteran. Dennis finished second to an in-form Richie Porte at the Australian time-trial titles with Jack Bobridge, who will attempt the Hour Record on January 31, rounding out the podium. The event was a good litmus test for the former track world champion Dennis who, apart from a “well done” at nationals, has exchanged no words with Bobridge, also in Adelaide for the first WorldTour event of the year. Bobridge smashed Chris Boardman’s “unbreakable” 4km individual pursuit world record in 2011 and will surely pose a serious threat to the current Hour record that Matthias Brändle holds. 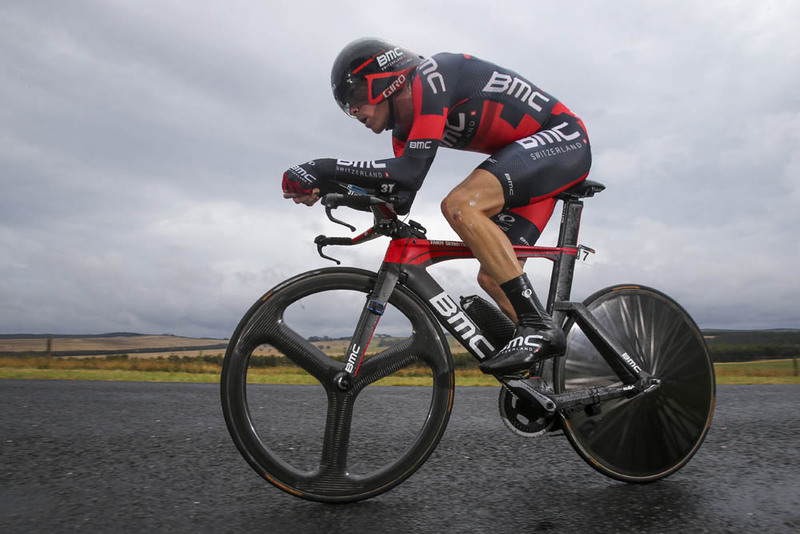 Dennis maintains Bobridge’s performance, winning or not, will not impact on his own attempt eight days later. The Hour Record was broken twice last year with Jens Voigt setting the tone at 51.11km in September. Voigt held the title for 42 days before Brandle established the current 51.852km benchmark. Commonwealth Games champion Alex Dowsett is yet to confirm if he will go ahead with his February 27 attempt in London following a training accident last week whilst former Tour de France champion Bradley Wiggins has also added his name to the growing list of challengers, and is due to hit the boards some time after Paris-Roubaix. Dennis acknowledged Wiggins’s glorious feats in the velodrome but is no less focused on achieving his goal. “I want to do it probably twice in my career,” he said of the Hour Record. “Right now I’ve got a good two years under my belt as a professional and I think I’ve got a lot stronger since London. Hopefully I get it and have it for at least a couple of months. If not, no worries, I’ll come back later in my career, try again and make it a mark that won’t be broken for a long time.